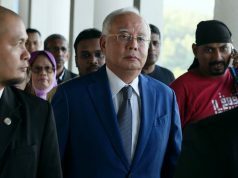 PUTRAJAYA: The former Prime Minister Datuk Seri Najib Tun Razak’s corruption trial involving RM42 million from SRC International Sdn Bhd funds will not proceed just yet. This follows a decision by the Court of Appeal three-man panel today to grant a stay to Najib to temporary stall the trial, pending disposal of his appeals relating to interlocutory matters to the Federal Court. 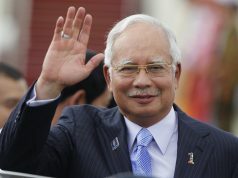 The matters included Najib’s appeals to obtain a gag order to prohibit the media and public from discussing the merits of his criminal case; access to investigation documents including witness statement at pre-trial stage; and on the Attorney-General’s (AG) withdrawal of his transfer certificate, which were dismissed by the panel earlier today. In allowing the stay application, Justice Datuk Zabariah Mohd Yusof who chaired a three-member panel said the prospect of the trial being declared a nullity was there and there were novel issues before the court. Justice Zabariah said there were no delaying tactics by Najib. AG Tommy Thomas told the court that he would be writing to the Chief Justice to fix the hearing date for the appeals as soon as possible. Justice Zabariah said the court was trying to expedite the matter, adding that they would provide the grounds of their decision by next week and the court would also instruct its registrar to prepare the records of appeal. Presiding with her were Justices Datuk Rhodzariah Bujang and Datuk Lau Bee Lan. Earlier today, the panel dismissed three of four appeals by the former premier. Justice Zabariah read her brief grounds on the gag order and for access to documents while Justice Lau delivered the decision with regard to the transfer of Najib’s case from the Sessions Court to the High Court following the withdrawal of Section 418 Criminal Procedure Code certificate by the AG. Justice Zabariah said that the High Court judge did not err in his decision to disallow Najib’s application for a gag order. “No misdirection in law and fact and the judge has taken a positive evaluation of evidence before him and careful analysis of the authorities submitted,” she said. On disclosure of documents, Justice Zabariah said the prosecution had duly complied with Section 51 (a) of the Criminal Procedure Code on the disclosure obligations of documents for pre-trial and Najib was not entitled to any further disclosure at this stage. She said documents sought by Najib were obtained in the course of investigations and those documents were privileged documents that could not be disclosed. “The issue of likelihood of witness tampering is another reason that investigation statements is prohibited from being disclosed to the accused,” said Justice Zabariah. Justice Lau said the High Court judge Mohd Nazlan Mohd Ghazali had given Najib’s counsel the right to be heard before making his ruling. She said the judge was also correct in using his discretion under Section 417 of the Criminal Procedure Code to transfer Najib’s case back to his court for him to preside over the trial. 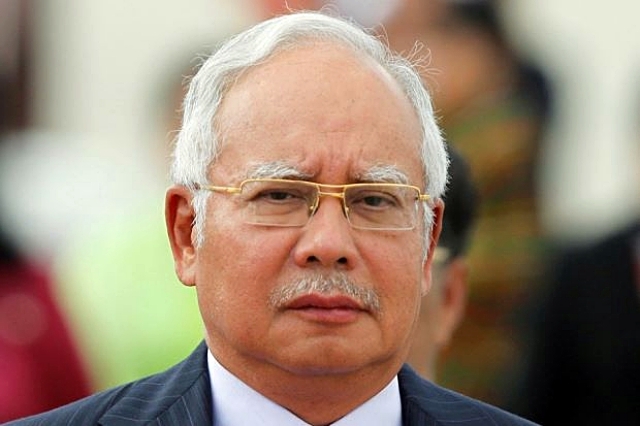 In allowing Najib’s application for the prosecution to provide a copy of ad hoc prosecutor Datuk Sulaiman Abdullah’s appointment letter, Justice Rhodzariah said the client-solicitor privileged communication under Section 126 of the Evidence Act, as contended by the AG, does not apply in the case. Outside the court, head of the prosecution division Manoj Kurup said they would appeal to the Federal Court against the appellate court’s ruling on Sulaiman’s appointment letter. Previous articleசிலாங்கூர்: 3,311 மாணவர்கள் பள்ளி படிப்பை நிறுத்தி விட்டனர்!